If you are not hosting a blog on your website start one. If you are not posting relevant information and blogs to draw in potential customers do it. Bring the traffic to you and become a destination resort for updates and information so you can reap the benefits and attention that this personal form of content marketing is commanding. Blogging is like having your own newsreel that provides a direct channel of communication between you and your potential customers. When you communicate with and encourage people to get to know you as well as your business (A name and a face they can related to), your relationship with them becomes more personal and makes you more credible. Since starting the blog on my Company website traffic has shot up over 2800 percent per month and people are spending time there. Also on our Facebook Page for our Foundation, Funlicoma Foundation, by just finding and posting interesting articles on different subjects draws hundreds of readers per week. This astounding increase led me to do some research on how blogs ranked in terms of overall Content Marketing. I found that Studies show that over two thirds of consumers will spend the time to read content on a subject they’re interested in. And blogs and articles that contain images get 94% more views. Blog content is one of the benchmarks by which success in Social Media is tracked. 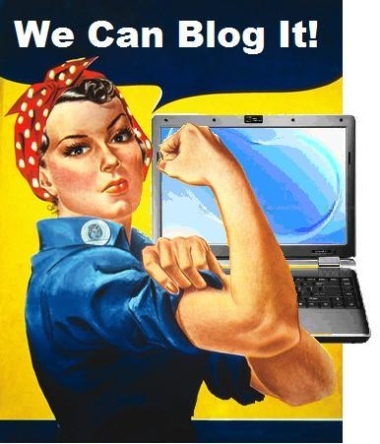 Blogging can also improve your search ranking. Based on a Wishpond Infographic put out this year, companies that blog have 434% more indexed pages and see 55% more traffic to their sites. Blogging is a main component of content marketing and provides many benefits– including increased traffic and visibility and SEO optimization. A company blog is also an effective form of inbound marketing. Blogging is highly beneficial when it comes to improving your social presence. In fact, according to Wishbone, interesting content is one of the top three reasons consumers follow brands on social media. Blogging is cost effective with time being the only real cost. Make your Social presence today and become a part of this social phenomenon mainstream and become a Social Media Destination Resort and you will have customers coming to you.